I think I should preface this section with the admonition that these are the memories of a 64 year old man; from a time when he was only 5 and 6 years old. The photo to the right is of a one room school house, not the one I attended, as it is long gone. However, as I recollect, this is fairly close to what it looked like, ours did not have an oil storage barrel outside, as it was heated with a potbellied coal fired stove. I started to school in the small village of White Post, Kentucky. It is no longer there, neither the school nor the village! 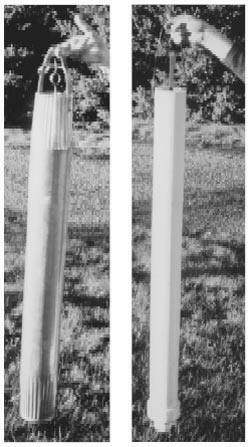 White Post was located on Ky state route 468 (Big Creek Road) a few miles west of the town of Nolan, West Virginia, which is located on the Tug River; which separates Kentucky from West Virginia. Nolan is located about 60 miles south of the Ohio River. My dad and his brother Alfred and brother-in-law, Johnny Salat bought a coal mine up on a mountain side just above the village of White Post about 1947. They worked the mine and developed it over a period of 2 years until the price of coal bottomed out to around fifty cents a ton. It was thought at that time that the Hannah Coal Company, a giant mining company, deliberately manipulated the price of coal to that unprofitable level to drive the small independent miners out of business, ala John D.Rockefeller and the Standard Oil Company 2 decades before. Whether or not that is true, what is true, our mine went bankrupt. We had car after car (railroad cars) lined up on the siding track full of coal which could not be sold and we were out of business by the fall of 1950. On Dec 28, 1949, my dad was working the coal mine when a cave in occurred while working the face of the coal mine. He was injured while trying to escape the mine, however, an associate was severely injured and could not move. Dad crawled back into the area where CLAUDE JUDE was disabled and drug him to safety. For this selfless act of courage he was awarded the Carnegie Fund award for heroism. The Carnegie Fund Citation is quoted at the bottom of this page. The school was a one room school with 8 grades. Miss Nichols was the school teacher, and I believe she was a brand new teacher, fresh out of college, as she was quite young, and in retrospect, very inexperienced. She may in fact was teaching on just a teaching certificate, with no college. A teaching certificate could be issued just by passing a test thus certifying that the holder was qualified to teach school. Consequently, she didn’t have much time for any single grade, and the two Johnnies did not get much attention, and also we didn’t learn very much. At the end of the year, I had failed miserably. However, as there were no new pupils coming on for the next year into the first grade, so she passed me anyway, ‘on condition’, that I did well in the second grade. Every grade she didn’t have to teach left her a little more time for the others. 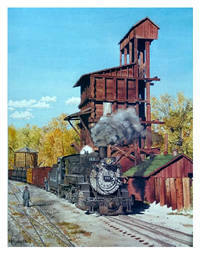 Anyway, I walked the two miles down the railroad tracks to Nolan everyday that summer (1950) to attend school in Nolan. My big sister, Jean walked with me, as she was taking 8th grade classes during the summer so she could ‘skip’ the 8th grade, the following year, which she did. We had to walk the railroad tracks, as the bridge which crossed the river on the road was a privately owned toll bridge, and it cost three cents to walk across the bridge, and we couldn't afford that much money every day. It belonged to a local entrepreneur named Squire Thompson, who also owned the general store and the coal tipple where we sold and shipped our coal. When we first moved to Kentucky, we lived in an abandoned house up the ‘holler’ from White Post in what was known as Cinderella. It had at one time been another mining town, but the mine had petered out and everyone had left. The house we lived in had belonged to a physician, and there was a barrel of old books in one of the upstairs rooms. (12-26-07) that some of the books were by Edgar Rice Burrough (the Tarzon series) and by Zane Grey. He informs me that he thoroughly enjoyed all of those books. My sister, Jean, who later became a physician, related to me that many of the books were old medical texts. Unfortunately, they were not preserved. I wish now, we had of kept a few of them. I don't know what became of the statue, however, a photo of it exists, and when I locate it, I will post it here. I recall that there were a lot of rat holes in the floors and baseboards and we covered them by nailing spread tin cans which had been opened and flattened, over them. Fortunately we only stayed there a couple of months until another house became available in White Post, just up the road from the school. When Dad bought the mine, the previous owner had used mine ponies to haul the coal out of the mine, with small mine carts on rail road tracks. The ponies came with the mine. However, Dad, Uncle Al and Uncle Johnny decided to modernize the mine and installed what was known as a ‘pan line’. A long large gutter shaped contraption that ran back into the mine and ‘vibrated’ the coal from the coal face to the front of the mine into the coal tipple. The ‘gutter’ was about 2 feet wide and about 8 inches deep. It was a continuous pan line, several hundred feet long which 'shook' constantly. You dumped the coal into it at one end, and the coal would shake and vibrate to the far end, which was over the opening to the tipple. We kept the ponies in a barn and pasture across the road from our house in White Post until Dad found a buyer for them. They were mean, as they had never been used as riding animals. Being small, they appeared cute, but were actually quite dangerous. Those were the ‘good old days’. We used a 'tipple' to hold the coal after it was removed from the mine, in our case, via the 'pan line'. Please see the photo to the right, it is NOT of our tipple, this one was located in New Mexico, but it was the closest in appearance to the one we had, as I recall it, from the various photos I could find on the internet. This one is on level ground, ours was on a mountain side, and we did not have a train track at the bottom, but a road. The dump trucks would pull up underneath the tipple and would be loaded by gravity, then proceed down the mountain to the commercial tipple. The tipple in this photo was used to refuel coal fired locomotives and was not part of a coal mining operation. Also, our tipple did not have a roof on it, the top was open. The coal was collected in the tipple, the top of which was at the level of the mine tunnel, and the bottom was located about 30 feet lower, where the trucks pulled up under the tipple and the coal was released through a hopper into the bed of the truck, then it was driven down the mountain to the commercial tipple where it was sold to the jobber, in our case, Squire Thompson. On one occasion, my brothers were helping at the mine ( I was not allowed near the mine, EVER! as it was too dangerous, as this tale relates) and Bob, the oldest was down in the tipple trying to make the coal level flow properly, when my Uncle Johnny, who was driving the dump truck, suddenly, without warning, opened the trap door at the bottom to fill the truck bed. Bob was caught in the flow of coal and quickly was buried up to his neck, saved only by my other brother, screaming at the top of his lungs for them to close the trap door. Fortunately, they got the trap door closed before Bob was killed. It took quite a while to extract him from the coal. Those were the "good old days". Another memory of White Post involved my Aunt Doris (Johnny Salat's wife, and my father's only sister). They lived in a small cabin up at the mine and from time to time we would visit with her. One day she was babysitting my younger brother, Jim and sister Carolyn and myself, she fixed spaghetti for us to eat. My father did not like spicy foods, so we were not used to spices. Aunt Doris fixed a rather 'hot' sauce for the spaghetti and it burned our mouths as we ate it. As this was our first experience with hot pepper,we were not aware that the 'heat' was chemical and thought she was just serving it too hot. I recall waving my hand in front of my mouth in an attempt to cool it off. Our water supply was a well in the front yard. The water ‘bucket’ was a long contraption about 4 inches in diameter, which looked somewhat like a shiny stove pipe, with a bale loop on the top to which the rope was tied to. It was about 3 feet long, and was dropped down into the well down to the water level. There was a trap door at the bottom which opened up when dropped into the water, then when the pipe was filled with water, and you started to crank the rope up, the trap door would swing shut and the weight of the water would keep it closed until you got it to the top, then you would lift the entire contraption out of the well, holding it over your water bucket, then flip the trap door open, thus permitting the water to drain into the bucket which was then carried into the kitchen. The photo to the right shows what this type of well bucket looks like, ours was like the one on the left, the one on the right is a modern plastic one which can be ordered at the link below. Mom cooked with lard back then. Everyone cooked with lard. It came in small tin buckets, which probably held about ½ gallon, or perhaps about 2 or 3 pounds of lard. You can say ‘yucky’ but the food certainly tasted good! Something which was brand new. It came in a plastic pouch about the size of a 1 quart baggie. The margarine was white, like lard or shortening, and had a small orange pellet inside. You broke the pellet inside the bag, then kneaded the bag, working the color into the white margarine, until it was the color of butter. I think there was a law which prohibited them from selling margarine already 'yellow' to prevent people from thinking they were actually purchasing butter. Another memory I have of White Post is rather sad. I recall my mother teaching a young neighbor girl, perhaps 14 years old, how to care for a baby. The girl came to our house several times for her ‘classes’. The really sad part of this story was not that the girl was only 14, which was bad enough, but the father of the child was her older brother. She had been raped. I am not certain why the girl’s mother was not involved, but I don’t think she had one. Perhaps she was deceased, or maybe had moved away. Things like that were not much discussed, and was not reported. So the authorities were not brought in to investigate. Even is someone had reported it, with the attitude of that culture at the time, nothing would have been done anyway. The 'good old days' weren't so good in some aspects. The following is the citation presented to my father for his act of heroism. Bryon Wootton, 40, coal miner, rescued Claude Jude, 32, coal miner, in a mine after an explosion, Nolan, West Virginia, December 28, 1949. Jude and Wootton lighted 29 dynamite charges in the working face and in an adjoining wall of an entry, which was 30 feet wide and two and a half feet high, and then crawled toward the mine entrance 280 feet away. A charge exploded prematurely when Jude was 20 feet from the face, and he was struck by flying coal, sustaining a broken leg. Wootton, who was farther from the face, suffered only bruises but was thrust to the floor opposite a cloth brattice which extended parallel to the sides of the entry. Head-lamps worn by both men were extinguished, and visibility was negligible. Dense smoke containing noxious gases filled the entry. Wootton, after calling to Jude and ascertaining his injuries, obtained a hold on the brattice as the other charges began exploding at intervals of five seconds. He drew himself prone for 30 feet along the brattice to Jude, who was unable to move. Coughing violently because of the fumes, Wootton groped and touched one of Jude's hands, which he grasped. Pellets of coal repeatedly struck Wootton, and lumps of coal fell to the floor about him. Wootton dragged Jude 60 feet to opposite an air-course, where the smoke was light and free of gases. When the explosions had ceased, three other men entered and removed Jude on a stretcher as Wootton crawled outside. Jude was hospitalized for nine weeks. Wootton's bruises healed in two weeks. He also suffered from shock and was nervous but recovered in 10 days. Dad received a check for $500.00 along with the medal, which was a very large sum back then. He was very proud of the medal, but really appreciated the check. He let each of us kids hold the check for a few moments, stating we would probably never hold that much money in our hands again! Those were the 'good old days'. 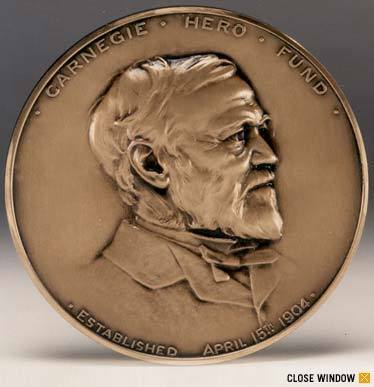 My brother Jim who had the medal for many years following our Dad's death, sent the medal back to the Carnegie Foundation to have it refurbished. They maintain the medals in new condition, sort of like the guarantee on a Zippo lighter. When the medal was returned to him in pristine condition in a new velour lined wood presentation box, he sent it to me so I could have it for a while. I presently keep the medal in my safe but it is available for anyone to look at and admire.